Bly de Blyant’s debut album offers inspired, imaginative and rock-oriented music from a trio of improvisers that denies itself nothing. “Free improvisation is a method, not a genre,” wrote drummer Øyvind Skarbø (1982, Håkon Kornstad Tenor Battle) in the cover text. “As soon as it becomes a genre, you lose all your freedom.” In addition to Skarbø the trio comprises Brooklyn-based multi-instrumentalist Shahzad Ismaily (Marc Ribot, Will Oldham, John Zorn) and Icelandic guitarist Hilmar Jensson (Tyft, Jim Black, Trevor Dunn). Skarbø had collaborated with both Jensson and Ismaily on several previous occasions, but Bly de Blyant is the first project where all three are playing together. Freedom and the desire to release control are essential elements of ABC, an album that offers music ranging from jazz, math rock and unexpected miniatures to a Prince cover. The album was recorded at Grieghallen Studio, in Skarbø’s home city of Bergen, together with technician Davide Bertolini. Inspired by the old-fashioned method of recording music, they decided to place all the musicians in the same room, without headphones. “Shahzad had his corner, with a recently restored Hammond organ, an ancient Moog synth, and a beautiful Fender Precision bass from the early 70s that Davide let him borrow. Hilmar had his usual rig with a guitar and an extremely ingenious, meticulously thought-out pedal system, and I had my drums with calfskin heads and only two mikes for the whole set. So everything was touched with a little bit of nostalgia, which was more of an inspiration than a hindrance,” recalls Skarbø. Bly de Blyant will tour Europe in March 2013, and the USA and Canada in September 2013. To term Bly De Blyant musical adventurers would be to do their album ABC a vast disservice. This is an effort from the Norway combo that transcends mere studio noodling or half-baked attempts at dissonance. It is nothing short of something akin to Can at their most energetic and imaginative. From the stark minimalism of their opening track Soft Zoo (even the titles express a sly wit) to the epic Curtis, this is a band unafraid to express all their influences but defy easy categorisation. For a trio, they summon up an array of weird and wondrous psycho-acoustic effects and pay homage to krautrock, without becoming mired in that genre. It’s a highly subtle album that denies itself nothing in terms of its sonic palette. As a debut it is highly affecting and a meticulous attempt to return to making records in a non-self conscious sense, putting improvised miniatures next to jazzy breaks and so-called math-rock. However there is a childlike, playful element at work in such humorous shorts as Wang Dang Doodle, and the often wide-open approach to extemporisation is tinged with this sense of fun. Utterly joyful. minsanten! – de gjør også en sokkelest-cover av en av mine favorittlåter av Prince i «Controversy»…Det låter friskt, men de blir nok hverken a-, b- eller c-listet med et sånt navn, eller så kul musikk for den saks skyld. ABC contains many forms of expression. It’s a recombination and reduction of jazz, post-rock, funk and improv strategies. In the cover text Skarbø says: “As soon as (improvisation) becomes a genre, you lose all your freedom”, but this isn’t a band fighting shy of genre; rather, they embrace to subvert it, honing inspiration into concise, sometimes fragmentary miniatures. minutt, og albumet heiter «ABC». De som sitter med det inntrykket at det kun er Grandiosa og Are Kalvø som kommer fra Stranda på Sunnmøre, må raskest mulig tro om igjen. Trommeslageren, bandlederen og konseptmakeren Øyvind Skarbø har også sine røtter der og for hver gang jeg støter på han, så skjønner jeg at dette er en musikant med et voldsomt potensial. I fjor sommer hørte jeg han under Moldejazz med Håkon Kornstad Tenor Battle og tidligere har jeg hørt skivene med de spennende bandene 1982 og BMX – Skarbø setter sitt bumerke over alt der han melder seg…Der Øyvind Skarbø dukker opp, der dukker det tydeligvis også opp spennende og annerledes musikk og Bly de Blyant er på ingen måte noe unntak. Jensson sa mot slutten av innspillinga at han ikke helt visste hva slags plate de var i ferd med å lage lenger – og ikke brydde han seg. Ikke jeg heller – dette er sjangerfritt og drittøft og det holder lenge det. Taking cues and treated pianos from John Cage, as well as nodding in the direction of Stockhausen, Faust and Can, the sound alternately creeps around quietly and then suddenly demands that you PAY ATTENTION! Tunes sometimes pop up, like the brief Batman theme on prescription drugz that is Shnily, followed by Wang Dang Doodle, an all too short tantalising jazz surprise in the midst of the madness. Daft, but it works! 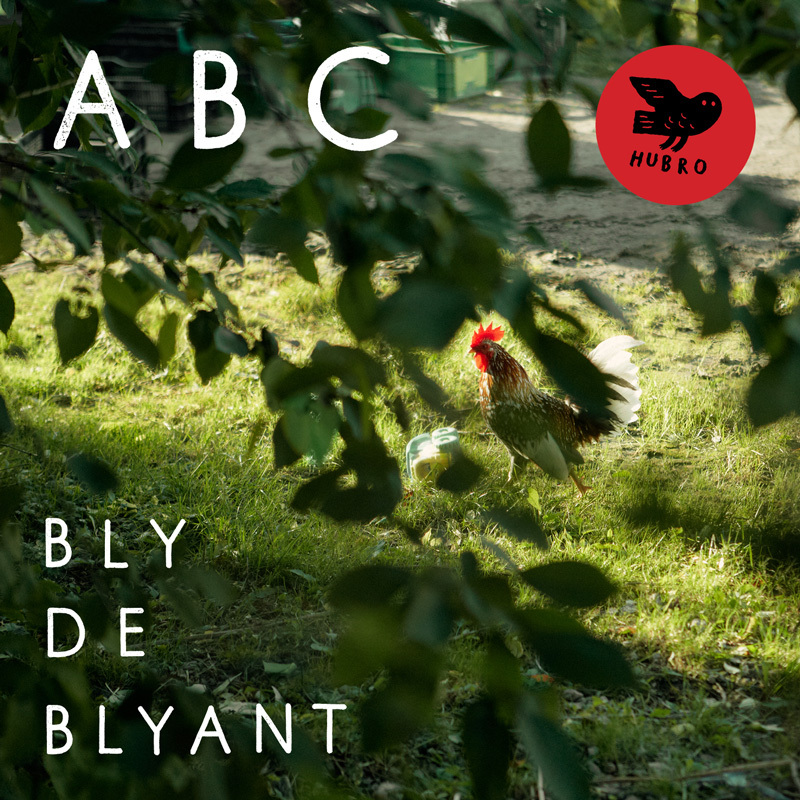 Charming debut release from trio Bly de Blyant. Members are Øyvind Skarbø (drums), Brooklyn-based multi-instrumentalist Shahzad Ismaily (Marc Ribot, John Zorn) and Hilmar Jensson, a guitarist from Iceland (Jom Black, Trevor Dunn). The three met and played on other occasions. Bly de Blyant is their first project. In all their experiments they stay close to the rock paradigm. All pieces are shaped between 15 seconds and 6 minutes. They jump from one idea to another, from one genre to another style. ‘Controversy’ is a battle with funk, changing off beat improvisations with pure soulful funk. Also ‘Wang Dang Doole’ is a fine swinging intermezzo. ‘Mordechai’ is an example of the strange constructions they built for their songs. It starts as a very complex rhythm-dominated piece, but halfway it turns into a gentle and cascading atmosphere. What is the logic here? Well, unusual it is.